Rhino Entertainment supplies the film- and TV industry with specialty extras, tactical training for actors, stunt people, weapon training and psychology. Copenhagen along with the rest of Scandinavia is becoming constantly more of a popular setting for a broad range of TV- and film shootings. 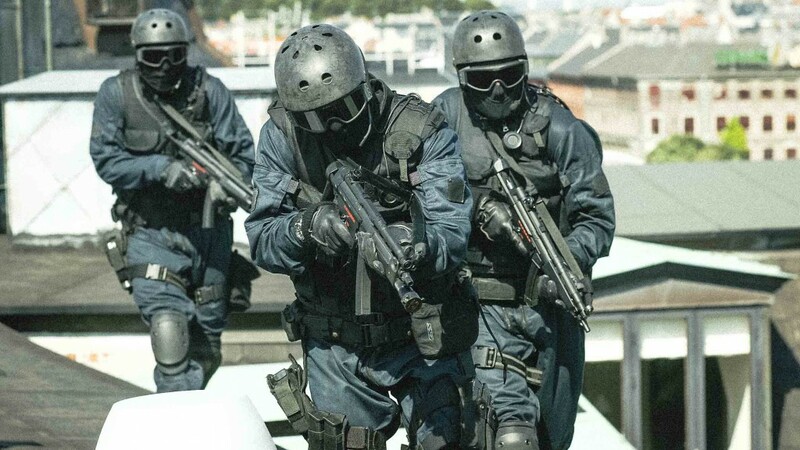 Rhino Entertainment represent professional, experienced advisors and instructors from the Danish police and military special forces with experience in tactical combat skills and the film industry. Looking for SWAT and police officers for your next production? You don’t have to look any further.